GPS-enabled devices are capable of storing vast amounts of navigational data in the form of maps, track lines, waypoints, routes and more — data that can be used as critical evidence in the courtroom after an accident or crime. The American Boat and Yacht Council is teaming up with the National Association of State Boating Law Administrators to teach marine law enforcement how to preserve that data and extract it in the event of an accident. The GPS Forensics course will be held Nov. 15 in Annapolis, Md. Those types of data can be pivotal in criminal or civil cases, said GPS forensics expert and lead instructor Sgt. Paul Alber, with the Palm Beach Police Department. “Down in Fort Lauderdale, there was a head-on boating accident that killed one person and seriously injured another,” Alber told Trade Only Today. The defendant began the day operating reasonably, Albers said, but the GPS showed a number of stops at bars. 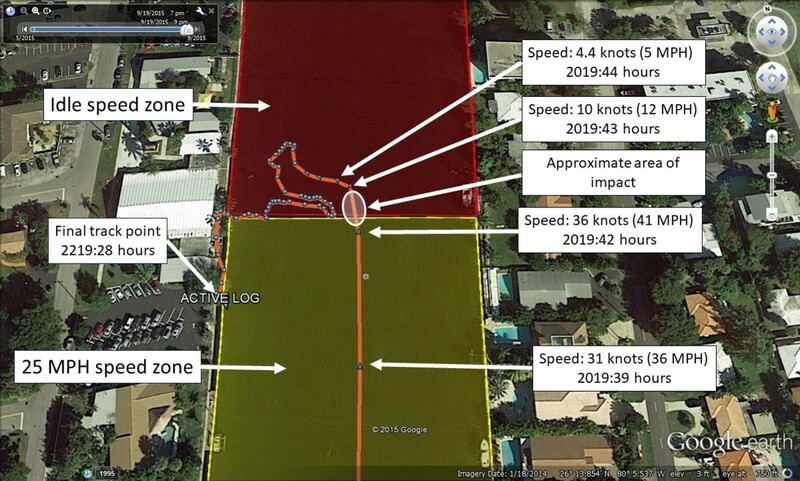 The GPS data “paints a very powerful picture of this guy and how he was operating his boat throughout the day,” Alber said. That’s one of the cases Alber will point to during the course, which he will conduct with Capt. Matt Majors, an investigator with the boating and law enforcement division of the Tennessee Wildlife Resources Agency. “We’re primarily working on marine navigation devices that are used for boating accident investigations,” Alber said. “What you get out of the course is some foundational knowledge as to how the GPS system works, what types of equipment might have GPS data in it. Majors describes the course in this video.